Why the loss felt by Brazilians from the Rio Games will be greater than that experienced by any athlete. Concerns about Brazil’s preparedness to host the Summer Olympic Games run in headline after headline. If it isn’t the deadly mosquitoes, it’s the contaminated river. If not the contaminated river, the incomplete building projects. If not the incomplete building projects, the rampant government corruption. If it isn’t about the rampant government corruption, well, it’s probably the deadly mosquitoes. But consternation over Rio’s “readiness” misses the point. When Brazil manages to pull off the Olympics — which it will, just as it did for the World Cup, despite similar worries — the real question will be this: Who are the long-term winners and losers of Brazil’s development strategy? When Rio won the Olympics bid in 2009, national growth rates were strong, President Luiz Inácio Lula da Silva was in office and popular, and Brazil was “taking off.” Then, it was easier to understand why Rio was a great choice as Olympic host. Now, however, well beyond any Olympic achievements, the triple crises of the Zika virus, political upheavals, and economic recession are front-and-center to Brazilians. The current economic slump and political turmoil represent a failure of a state-led developmental path deeply marred by corruption and short-sighted use of natural resources. 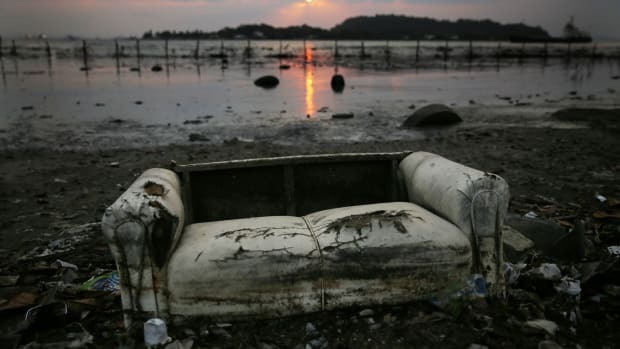 Visitors to Rio during the Olympics will probably hear how the Guanabara Bay is polluted with sewage, concerning sailing teams. What they will hear less of is that it is both symbolically and practically disturbing that one of the legacy projects of the Olympic Games, Rio’s new Tim Maia bike path, turned into a tragedy when it collapsed on April 21, 2016, just hours after the Olympic torch was lit in Greece. The $12.6 million path, which passed over a beautiful but precipitous stretch of Atlantic coastline, came crashing down when it was struck by an especially strong wave. Two people died. Studies have concluded that poor engineering is to blame, and the path is currently closed. Technical details are important, but we should also ask whether the engineers are considering that the sea level rise associated with climate change could cause even more severe outcomes in the future. There are five main firms involved with building for the Olympics. All of them are under investigation for corruption involved with price-fixing, bribery, and bid-rigging for many of Rio’s Olympic infrastructure projects. Rushed work leading to tragedy is not unfamiliar to Brazilian construction projects. Construction of the Arena Amazonas in Manaus involved the deaths of several workers. The World Cup stadium projects were meant to symbolize Brazilian achievement on the world stage. Instead, they are now widely recognized as white elephant projects. For the Maracanã stadium in Rio, Olympic renovations will include the construction of new luxury seating boxes and a shopping mall area inside the new garage. The stadium was once a populist architectural icon that, prior to 2005, included a standing-only area where tickets only cost $1. It is particularly painful for Brazilians that these monumental projects, from the construction process on to their later social re-configurations, involve clear beneficiaries. The shiny new Porto Maravilha complex, another centerpiece of the Olympic city, is composed of many commercial buildings and hotels that have been implicated in the nation’s corruption scandals. The bribes made to politicians from construction contracts help explain the enthusiasm to pursue such giant infrastructure projects, as well as their especially high price tags. Civil construction firms are the most powerful companies in Brazil. There are five main firms involved with building for the Olympics. All of them are under investigation for corruption involved with price-fixing, bribery, and bid-rigging for many of Rio’s Olympic infrastructure projects. Engineering giant Odebrecht S.A. is one company at the center of the corruption investigations. The company holds half the value of the total $11 billion in Olympic project bids. Compounding the corruption is the fact that the economic boom was premised upon risky and exploitative natural resource extraction. Brazil’s commodity boom was driven by Chinese trade and exports from extractive industries like mining. But mining is proving to be an ecologically precarious endeavor. When the Bento Rodrigues mine tailings dam burst near the city of Mariana in November 2015, it alerted many to the severe risks posed by mine tailings dams. The incident was Brazil’s biggest ecological disaster, and the responsible companies are now facing a $44 billion civil lawsuit, in addition to criminal charges against executives. Meanwhile, in the Amazon, a gold mine run by the Canadian company Belo Sun is being built. Estimated revenues for Belo Sun are around $200 million per year for the next 21 years. The mine is located along the Xingu River, which was recently re-routed to make way for the world’s third-biggest hydroelectric dam, called the Belo Monte dam. Never mind that the project violated the human rights of the indigenous groups living in the area around the dam and the mine. When the Inter-American Human Rights Commission found it guilty of those violations, Brazil withdrew its ambassador to the Organization of American States. Instead of strengthening adherence to human rights and environmental licensing, a Brazilian Senate committee recently approved a constitutional amendment to take the teeth out of environmental licensing altogether. 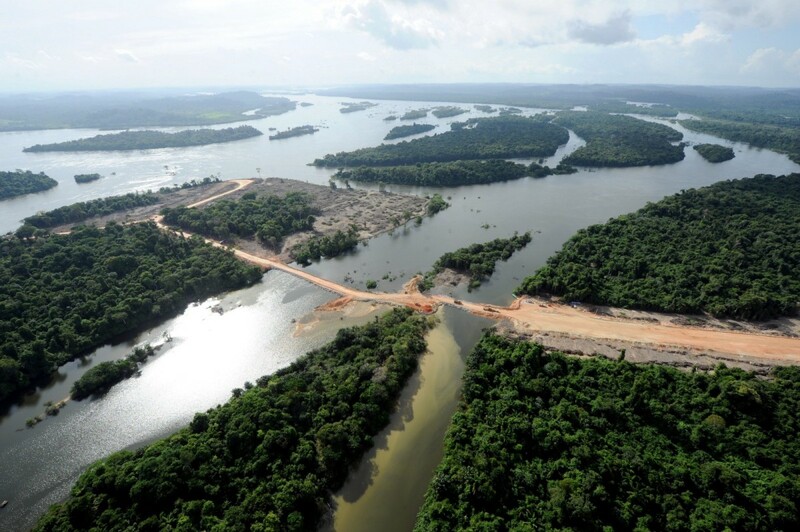 Belo Monte was supposed to be a flagship project for Brazil’s “green development” agenda. Current investigations have made clear that the Belo Monte dam involved corruption in everything from the construction bidding process to the purchase of equipment, including around 45 million reais in campaign donations to Brazil’s major political parties. The dam, which cost a whopping $14.4 billion, was legally justified by “national interest,” purportedly based on the need for Brazilian renewable energy production. The dam’s construction led to the ethnocide of the Arara and other tribes living near the Xingu River. Around $1.5 billion in social investments were made in the region, including a new hospital and sanitation infrastructure for the city of Altamira, where some 20,000 people were recently displaced by dam-related construction. Still, there are not enough beds in the hospitals to treat the population, which has suffered from spikes in diarrhea and the flu. The sewage treatment system in Altamira remains largely disconnected to residences and commercial buildings. We should ask: Are these social and ecological tolls really in the national interest? Can Brazil find a way to avoid following the ecologically devastating path to “progress” that led to giant mistakes in the United States and in the Amazon alike? Banking on dams for energy might, at first glance, appear to be the most sustainable and viable energy option for such a water-rich country. But as Brazil experiences droughts and transmission problems, which it did in 2000–01 and again in 2015, there will likely be rolling blackouts as reservoirs run dry. 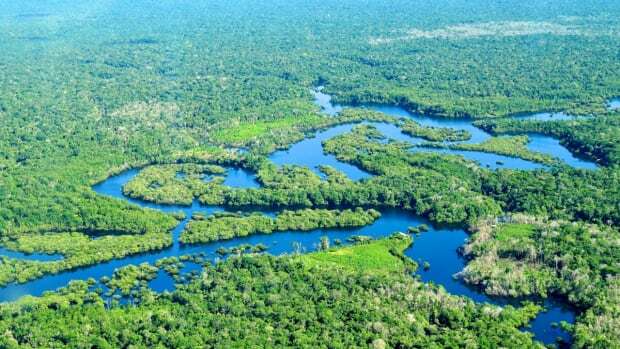 Given the realities of climate change, even the Amazon region is experiencing longer dry seasons, with the possibility of transformation from rainforest into dry savannah landscapes by the end of the century. With all the world watching as the Olympics kick off, Brazil faces an opportune moment to re-evaluate its development trajectory. It’s not impossible to imagine how things could be different. Even in the Amazon there are signs of positive change. 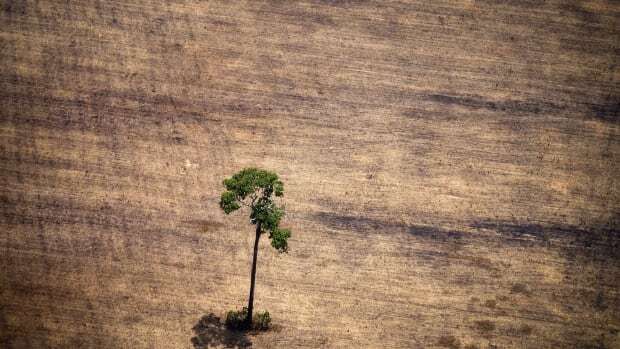 Deforestation in the Amazon declined by a significant 80 percent in the region since 2005. 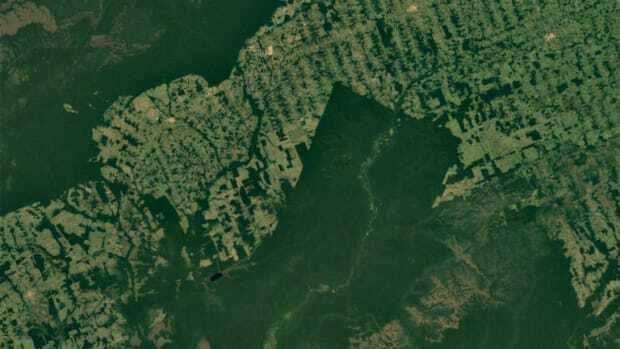 With detailed satellite imagery, deforestation can be tracked in real time. The non-governmental organization Gastromotiva has an initiative to take food that otherwise would go to waste from the Olympic venues and turn those ingredients into gourmet meals served by top chefs to Rio’s most marginalized populations. This could presage a more long-lasting effort to more creatively think about environmental protection and social inclusion. The inspiration from projects like this spark another question: After the tourists leave, how might Brazil sustain a new “normal”? Boondoggles in the form of stadiums and pharaonic infrastructures tell us exactly what sort of development is counter-productive to sustainability. Brazilians, who often have been mollified by futebol, are not likely to be so distracted by the Olympic sports, no matter how well the national soccer team plays. 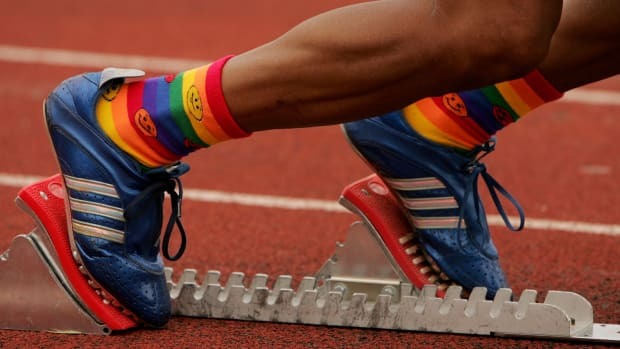 Through re-focusing on improving ecological vitality, institutional accountability, and social inclusion, we could begin a deeper global conversation about what strength and accomplishment means that lasts well beyond Rio.